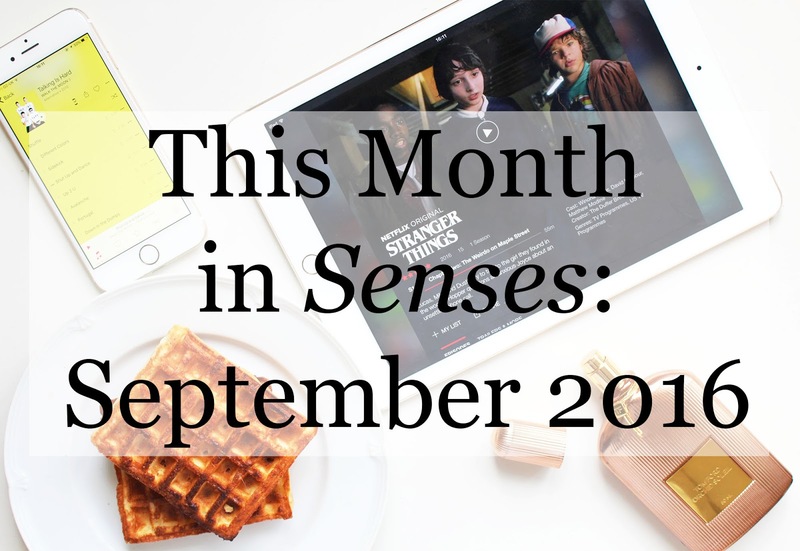 Soon we'll be ushering in October, and with the close of another month comes rounding it up according to my five senses. Here we go! For my birthday at the beginning of this month, I got Tom Ford's new perfume Orchid Soleil, so obviously I've been wearing it pretty much every day. I love it! To see what other goodies I got for my 20th, check out this post. I know this is really random, but I have to mention it. I recently got this pyjama top from Matalan, and it's so comfortable! It's long-sleeved, but it's light weight so it's still cool. It's so baggy and slouchy, I love it for actually wearing as a PJ top, but it's also perfect for loungewear. Like I said, I know this was so random but it's so comfortable that I just had to put it in there! I hadn't had waffles since I was about 10 years old, and my mum recently bought some and I've remembered how yummy they are. 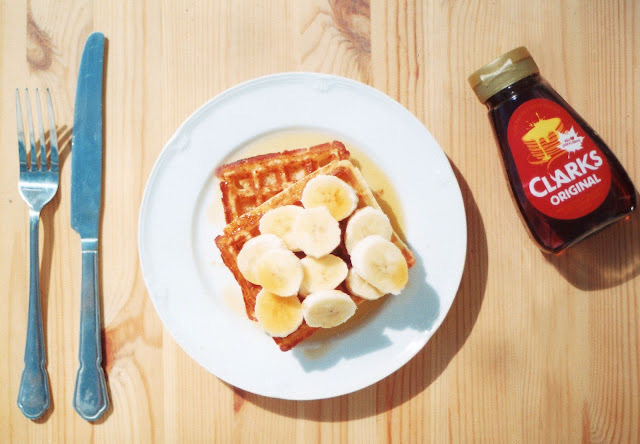 And now - what with the advance of social media to find inspiration since I last ate waffles - I can mix it up like a Pinterest Mom, adding bananas and syrup. Sorry to sound like a Hipster, but I've been a fan of the band Walk the Moon for a long time. This month I've had the album Talking is Hard - the album that the popular single Shut Up and Dance is on - on repeat. I've had the album on my phone for a while, but I didn't realise how good it was! I am obsessed with the song Aquaman. Two words: Stranger Things. If you haven't seen it yet, go watch it right now. It's so good. Thank you for reading! 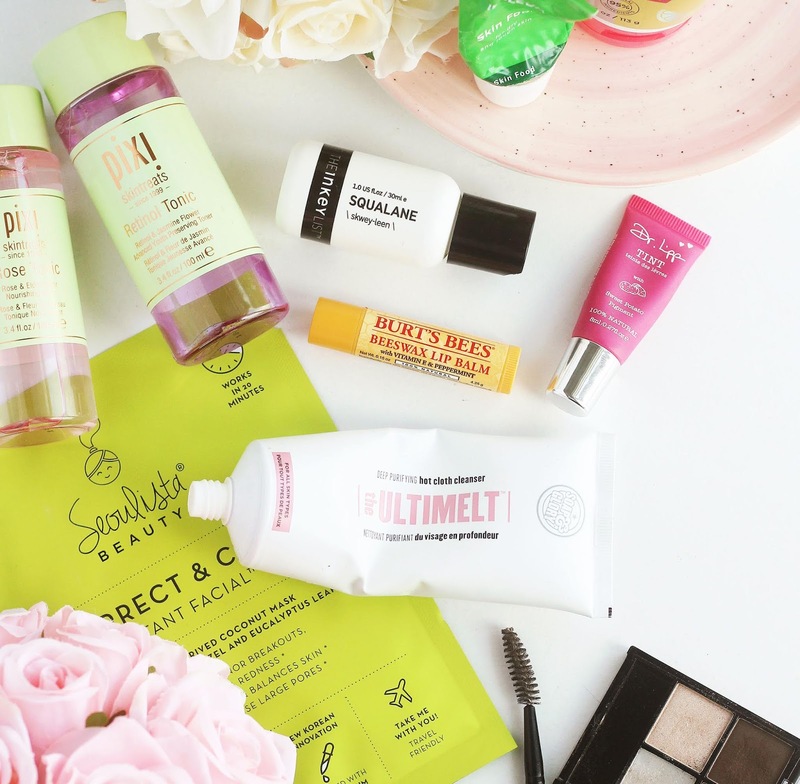 If you're looking for beauty reads, why not check out what's hot over on the right hand side of my blog?